On Sunday, 25 January 2009, The New York Times published an article by Matthew Parker in its Modern Love section. Mr. Parker was a graduate student at Columbia University and a man who had served 11 years in prison on an installment plan, a few years here followed by a few years there. He was released from prison in 2002 and seemed committed to putting his life in order. Mr. Parker wrote that his imprisonment had left him feeling “inept when it came to women.” I have served more than twice as long in prison as Mr. Parker. 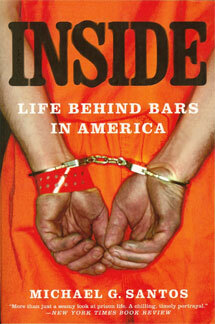 Although I could understand how the prison experience conditioned him, I have never shared his feelings of inadequacy. I felt convinced that the ways in which we choose to adjust to confinement prepared prisoners for the challenges we would face upon release. From the time I began serving my prison term, back in 1987, I contemplated the complications associated with my confinement. The sentence I had received would require me to live within prison boundaries for a quarter century. I knew then that if I did not make deliberate adjustment decisions, living inside prison boundaries would condition me for a cycle of failure. I knew that I had to educate myself in order to transcend the high walls of the penitentiary. That was a lesson Mr. Parker, apparently, didn’t grasp until he was released from prison in 2002. I began my term with a clear vision of how I wanted to emerge. Because of that vision, every step of my journey has had a purpose. First I had to educate myself and earn recognizable academic credentials. Then I had to ply my education by making contributions to society. Those efforts, I expected, would bring meaning to my life and connect me with the broader community. Through those connections, I would meet women and in time, I would find my love. Taken together, I expected the strategy would carry me through the many years of imprisonment I would serve. In counseling or advising my fellow prisoners, I strived to show them both the perils associated with meandering adjustments, and the promise of disciplined, purpose-driven adjustments. I have met, interacted, and written about hundreds of prisoners who left prison without confidence to function in society. Through a disciplined adjustment, however, I advance deeper into my 22nd year of confinement with feelings that I am at one with society. I enjoy a magnificent, loving relationship with Carole, my wife of more than five years. My previous efforts, together with the work Carole and I devote to our marriage, ensure that I will conclude my term with the resources necessary to blend into society minus the telltale signs of multiple decades in prison. The key to success upon release from the sentence is in the deliberate adjustment during the sentence. That is a lesson I strive to pass along to my fellow prisoners through my writing. We need prison reform that facilitates the spreading of such messages.